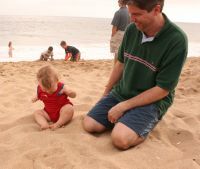 Below are pictures of Mark and Andrew between July 16th and 19th, 2008 when we were on a family vacation in Southern California..
Andrew sitting in grass in Quartzite, Arizona when we stopped for lunch on July 16th. 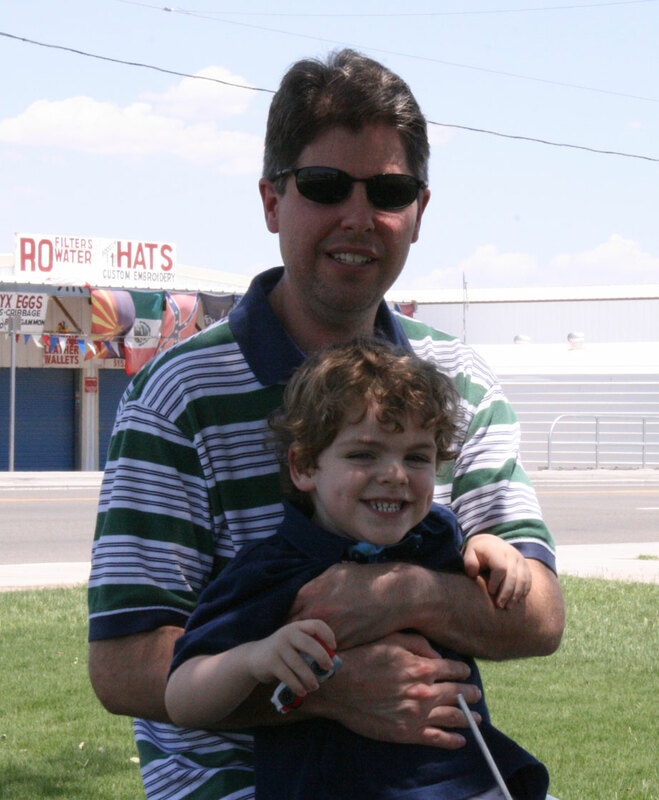 John holding Mark in Quartzite, Arizona when we stopped for lunch on July 16th. 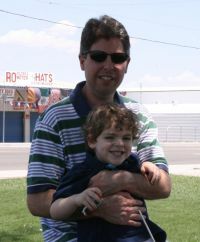 Mark at rest stop on the way to Legoland with the ocean in the background on July 17th. 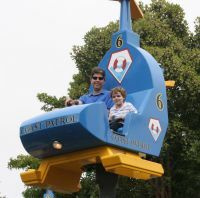 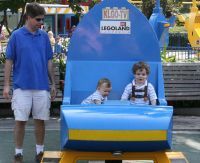 Andrew and Mark sitting in helicopter, John standing by at Legoland on July 17th. 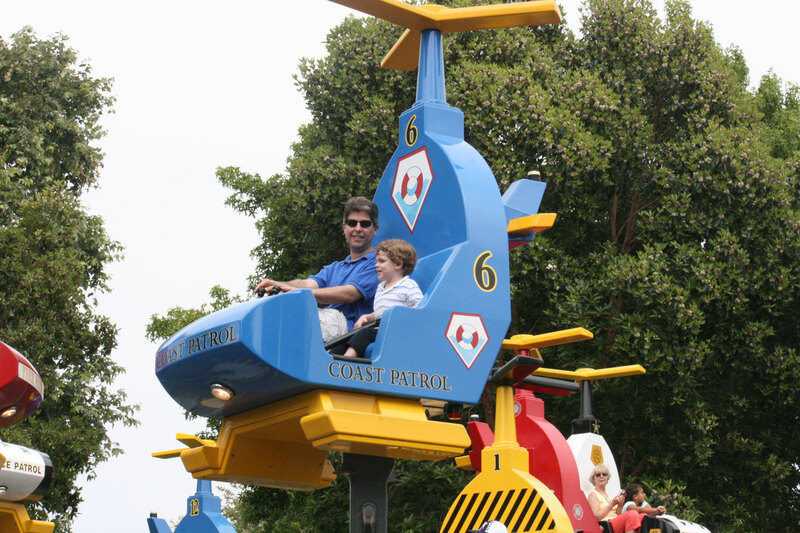 Andrew and Mark sitting in helicopter. 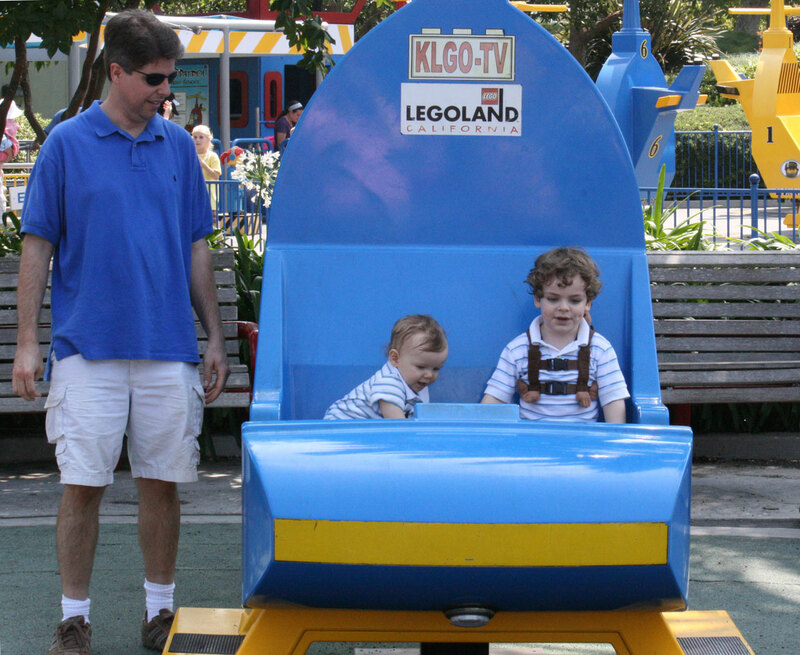 Mark "driving" at Legoland. 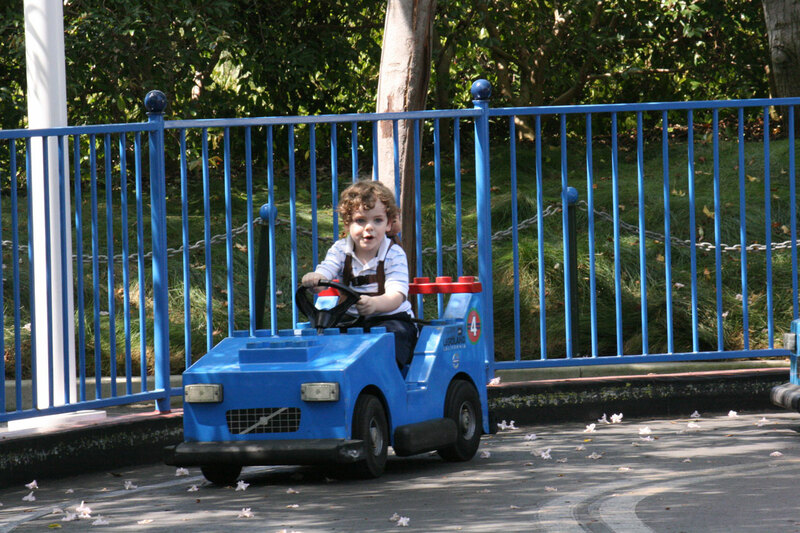 Was his first time in a car like this and he did not get the concept of turning the steering wheel away from the wall. 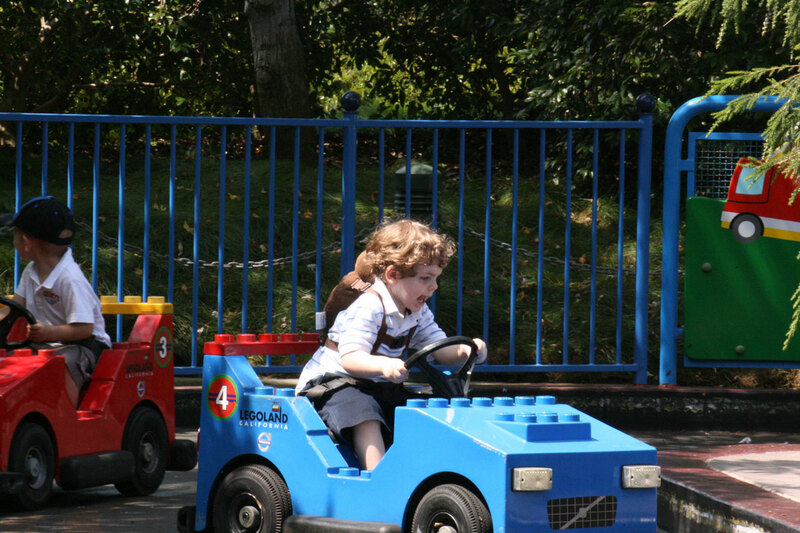 Mark driving at Legoland and kept getting stuck on July 17th. 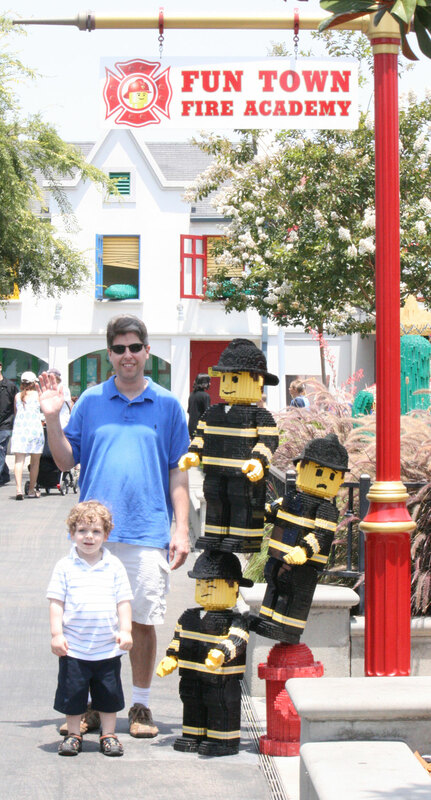 John and Mark standing by 3 lego firemen. Mark in phone booth at Legoland on July 17th. 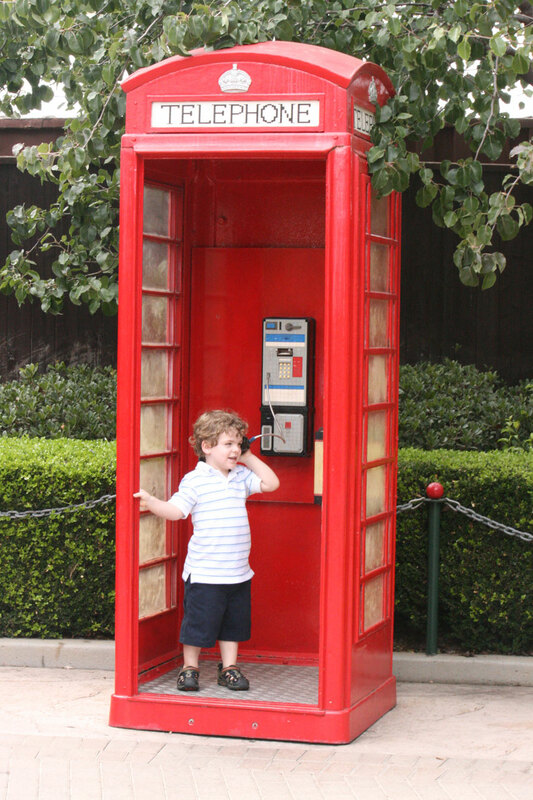 The payphone part is all Lego's. 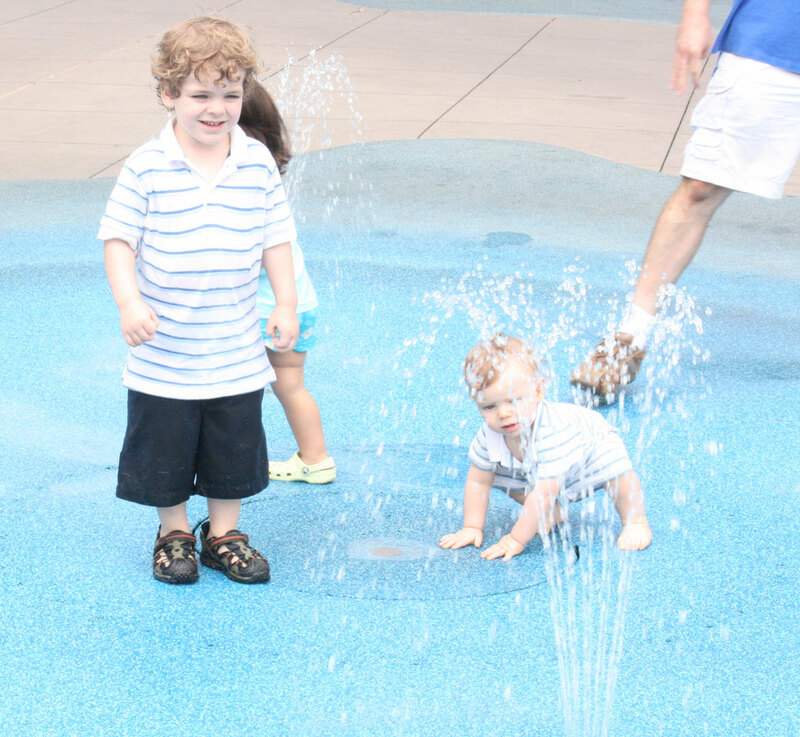 Andrew and Mark in little fountains. 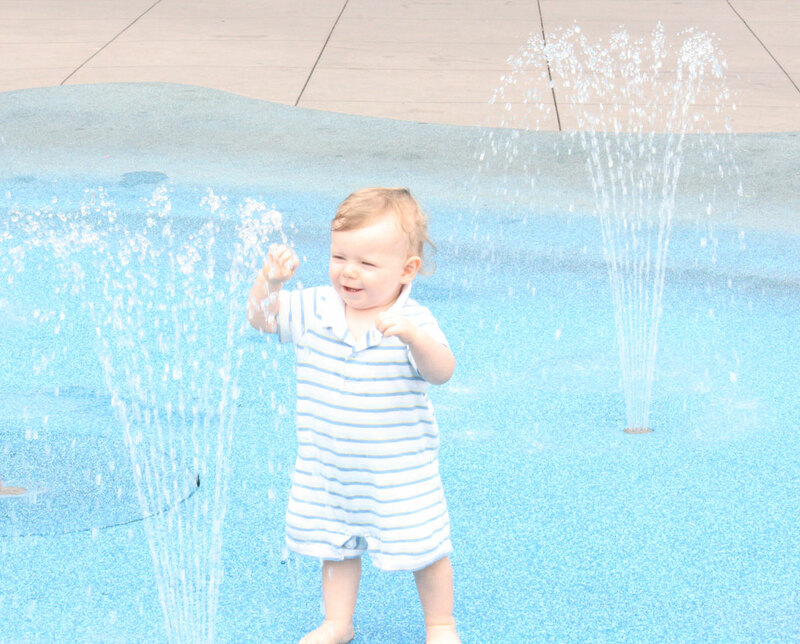 Andrew in little fountains. 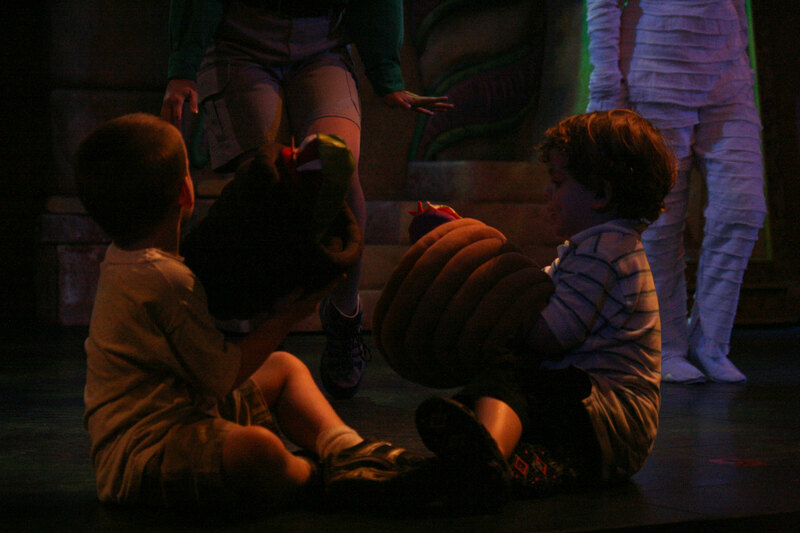 Theater play at Legoland where Mark played with a snake puppet. 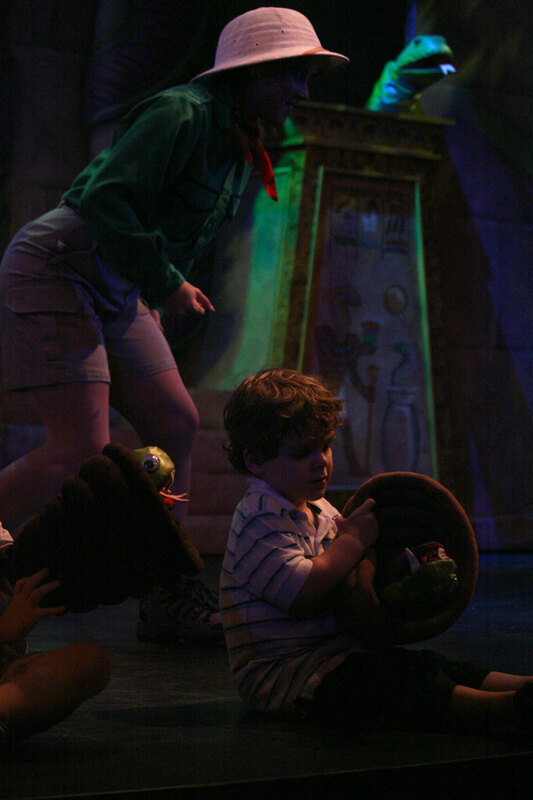 Theater play at Legoland where Mark played with a snake puppet. John and Mark in helicopter ride. 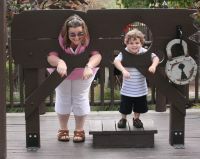 Kelly and Mark in stocks at Legoland. 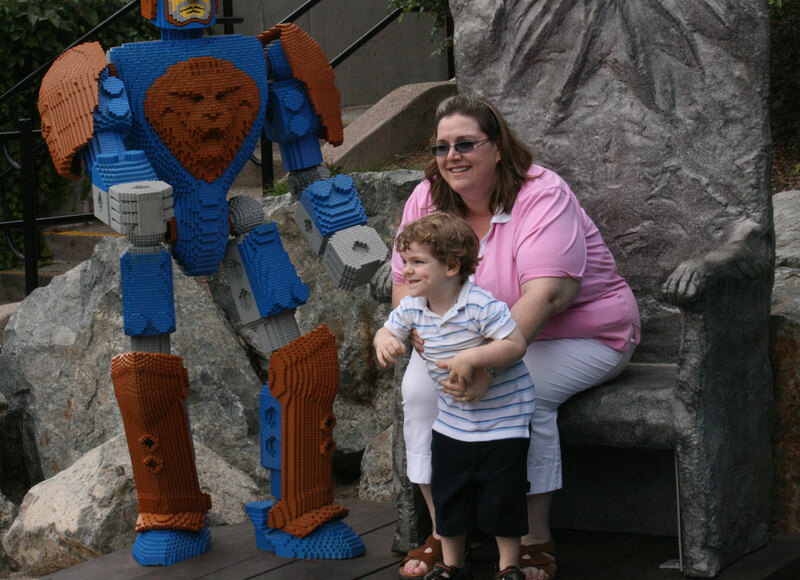 Notice the padlock is made out of Lego's. 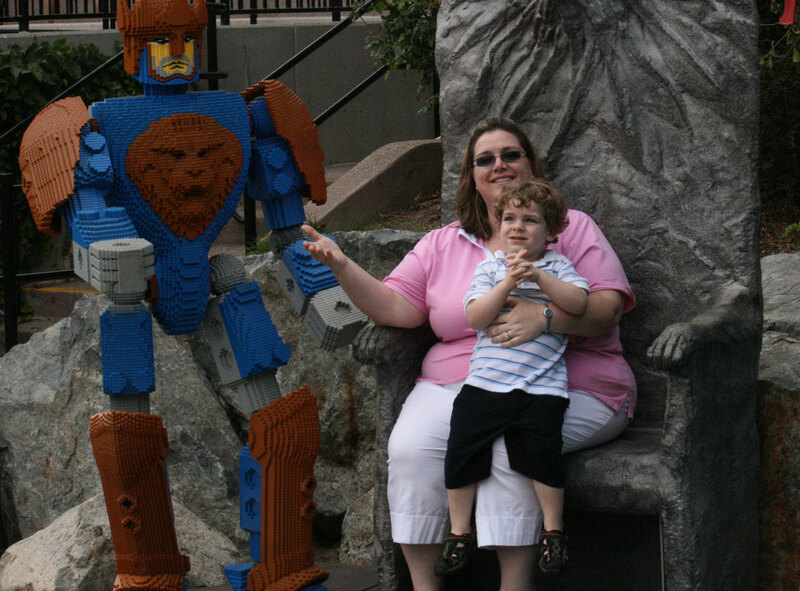 Kelly and Mark sitting on throne where the figure on the left is made out of Lego's. Kelly and Mark sitting on throne on July 17th. 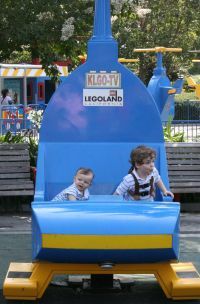 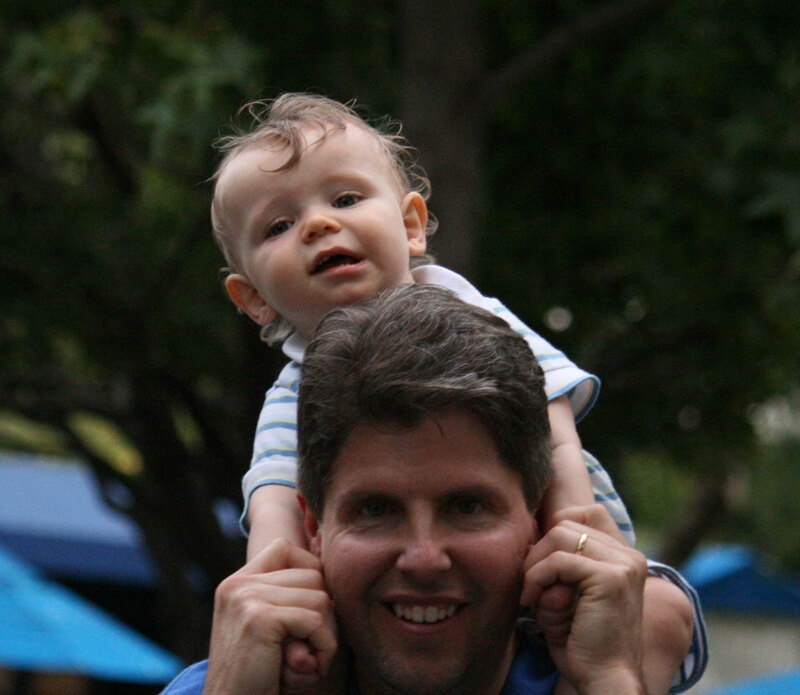 Andrew not sure about a piggy back ride on John at Legoland on July 17th. 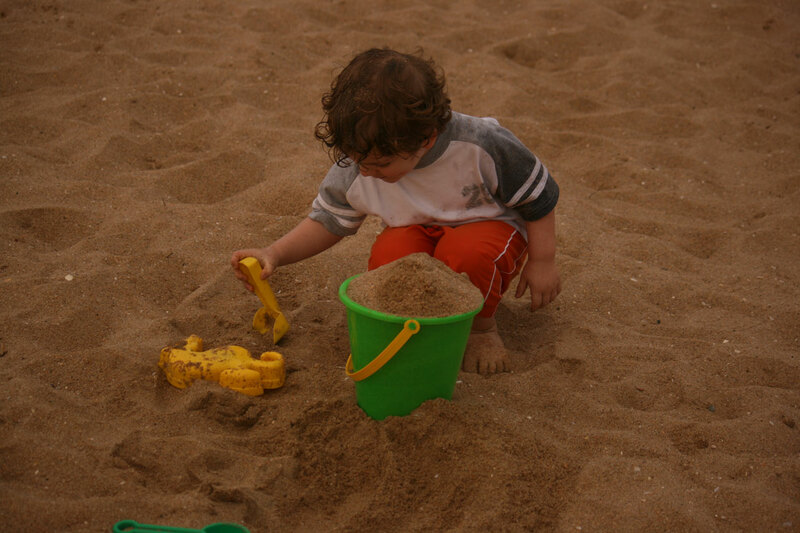 Andrew sitting on sand NOT liking it at the beach on July 18th. Andrew sitting on sand NOT liking it at the beach and John picking him up. 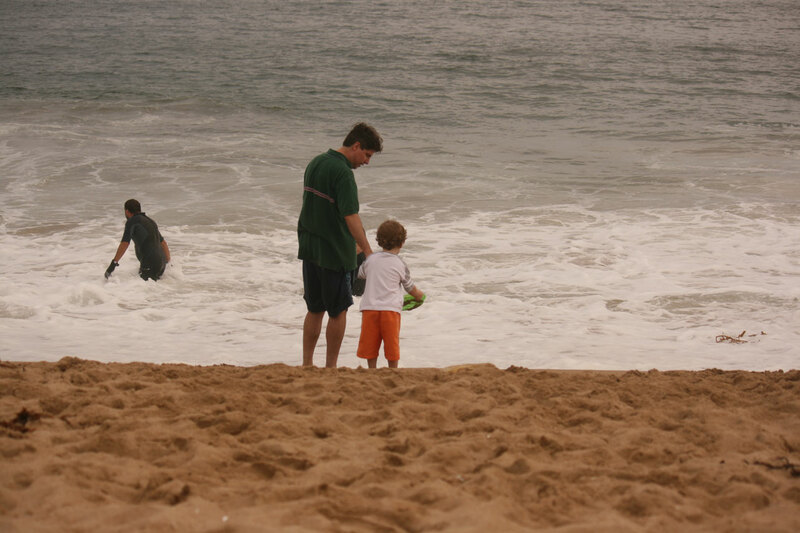 John, Andrew, and Mark getting close to the ocean on July 18th. 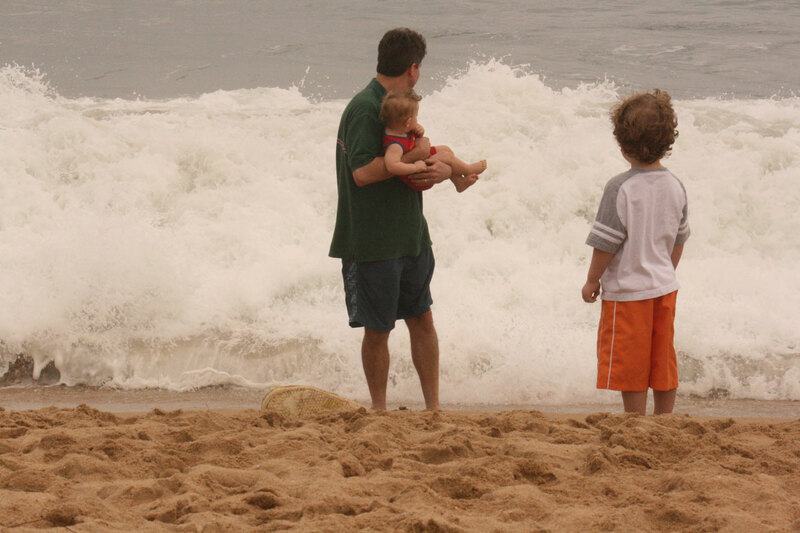 John, Andrew, and Mark getting close to the ocean as a big wave comes crashing in. 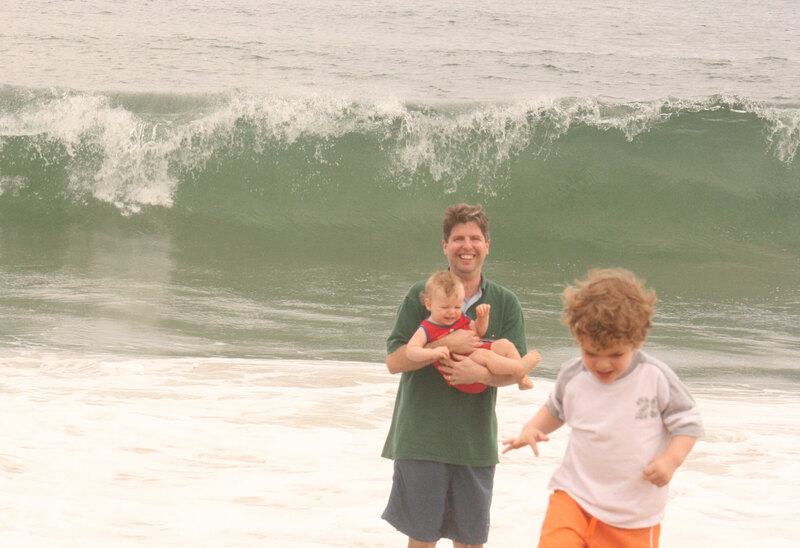 John, Andrew, and Mark after the big wave comes in going back to Kelly. 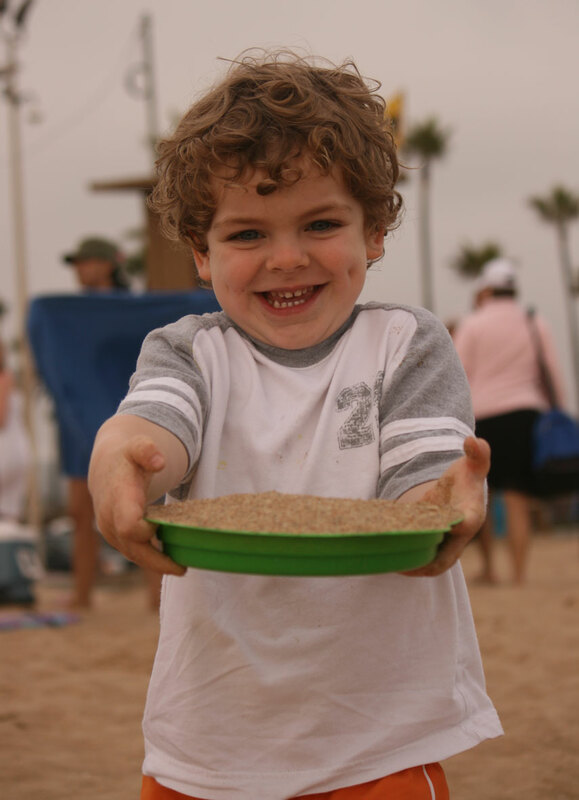 Mark holding sand pie at beach and happier that is not so close to the waves. 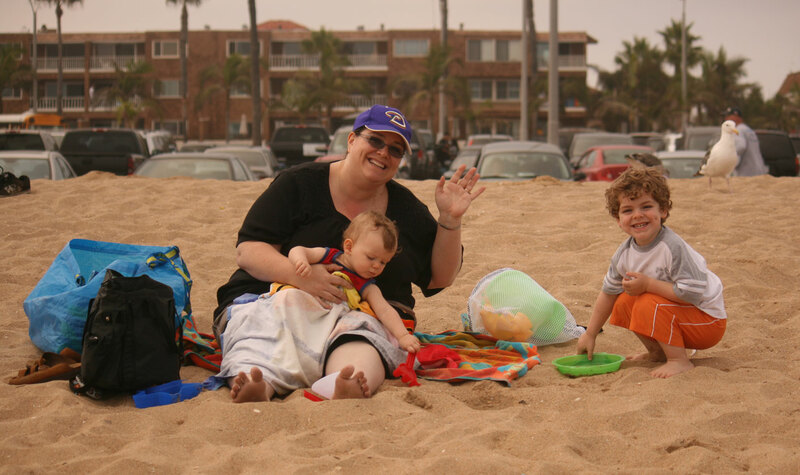 Kelly, Andrew, and Mark at the beach on July 18th. John and Mark close to the ocean getting some wet sand. Mark playing in sand on July 18th. 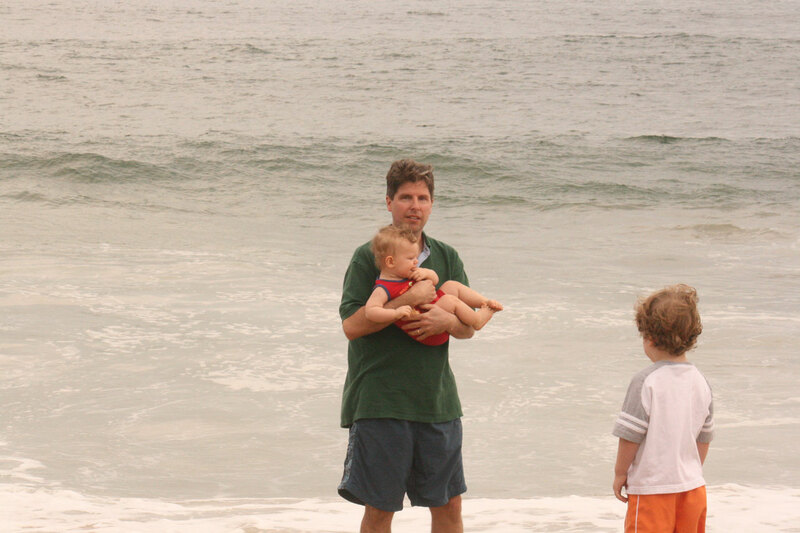 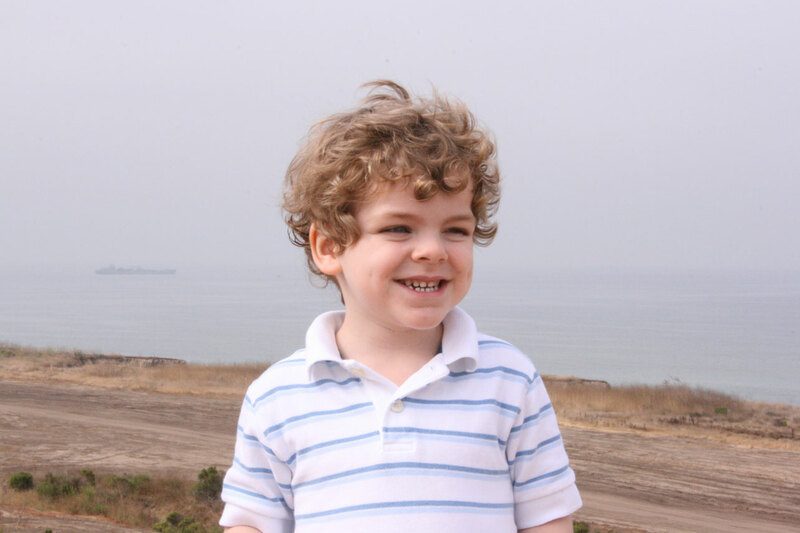 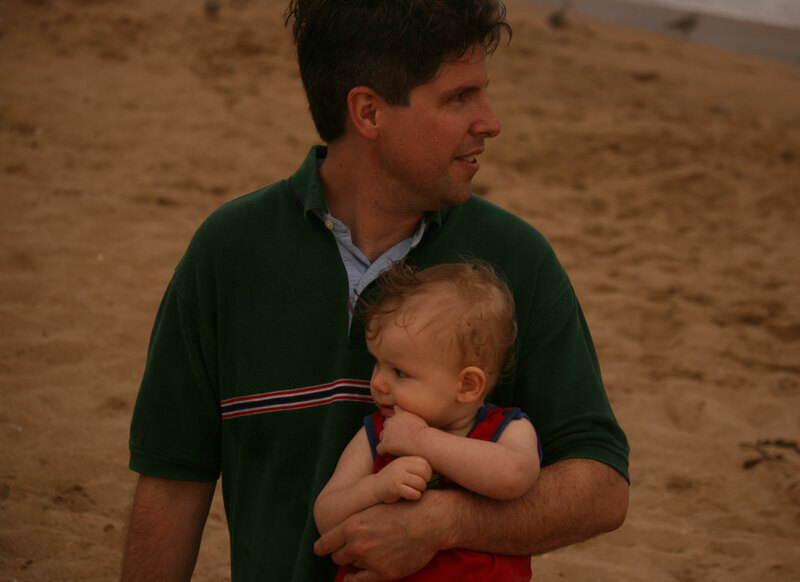 John holding Andrew at beach on July 18th. 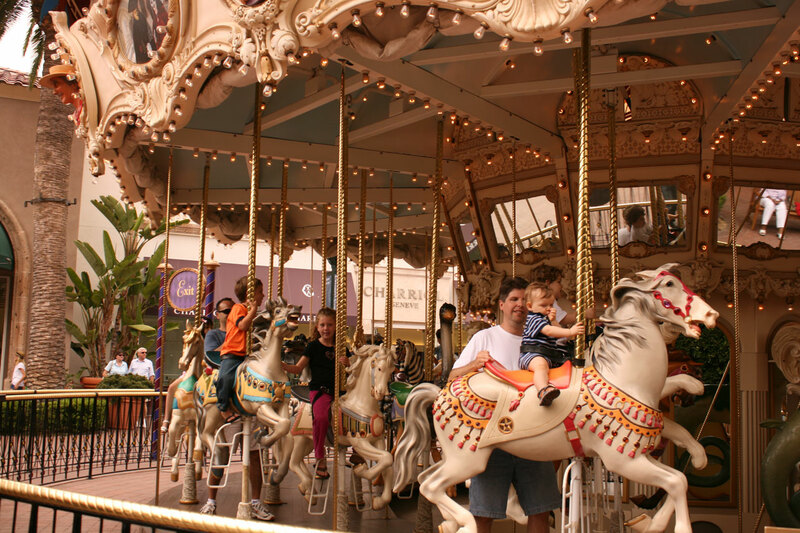 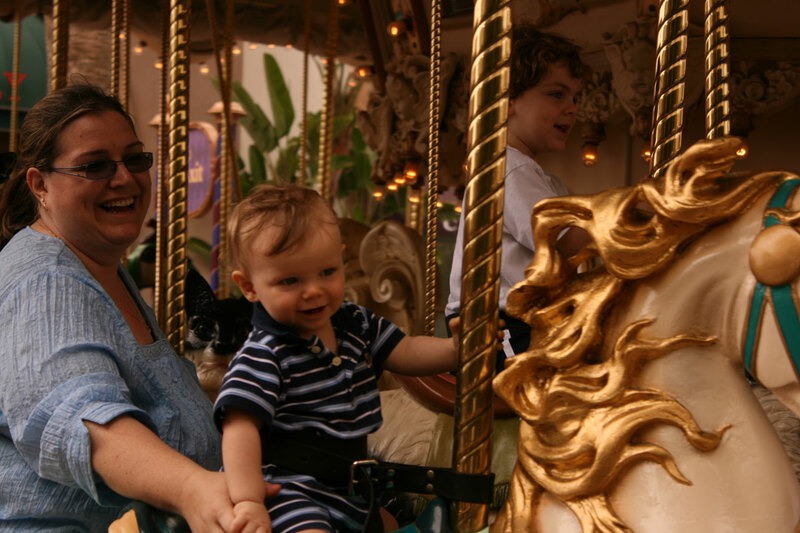 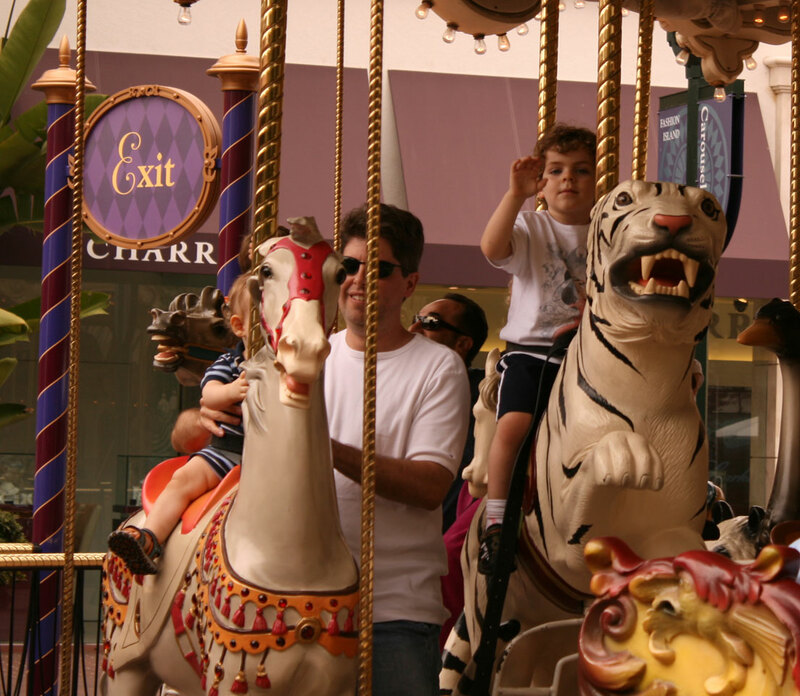 Kelly, Mark, and Andrew on Carousel at Fashion Island, CA on July 19th. 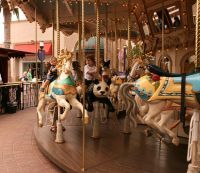 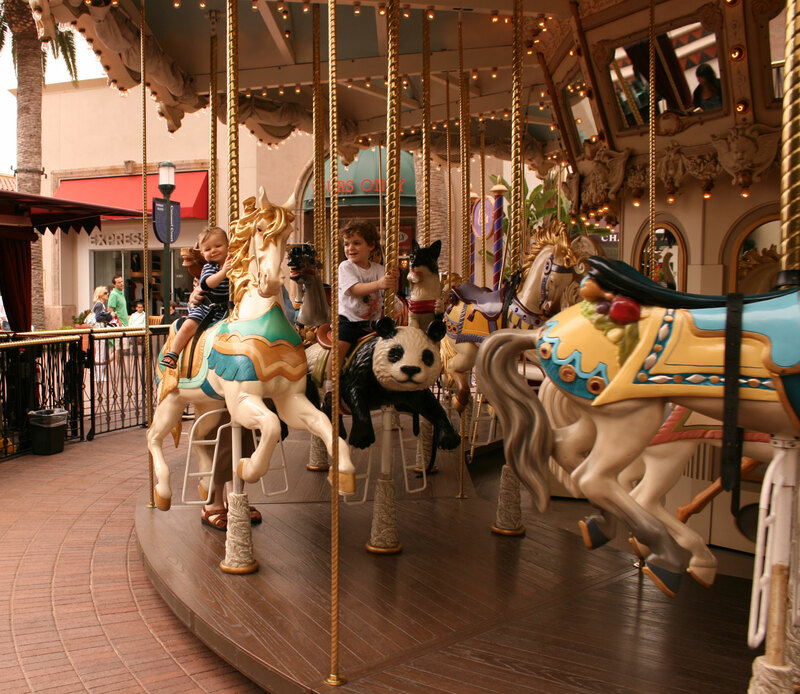 Kelly, Mark, and Andrew on Carousel at Fashion Island, CA on July 19th. 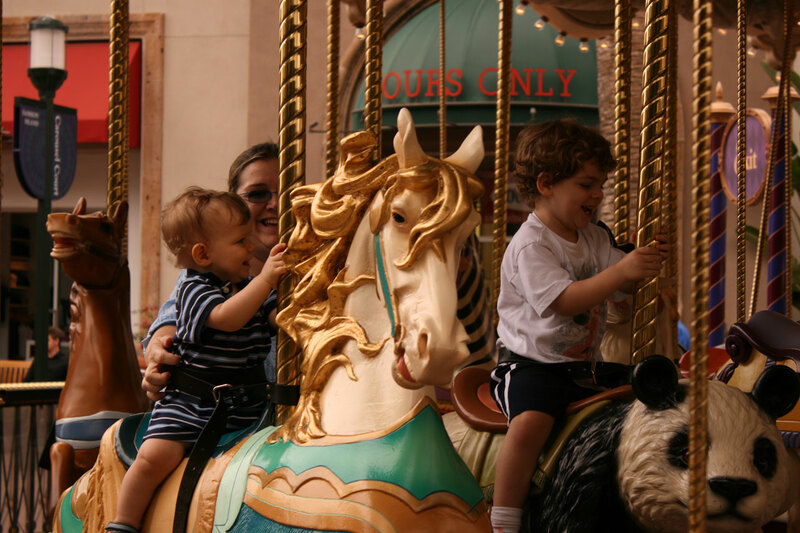 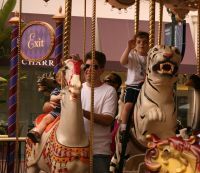 John, Mark, and Andrew on Carousel at Fashion Island, CA on July 19th. 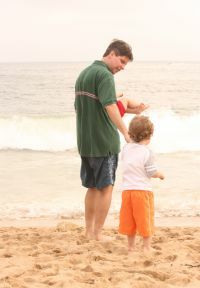 This page was last saved on Sunday, August 16, 2008.